WALL-E meets Don Hertzfeldt in Dennis Sungmin Kim’s ei: emotional intelligence – an 8-minute animation showcasing promise of an exciting new talent in the field. 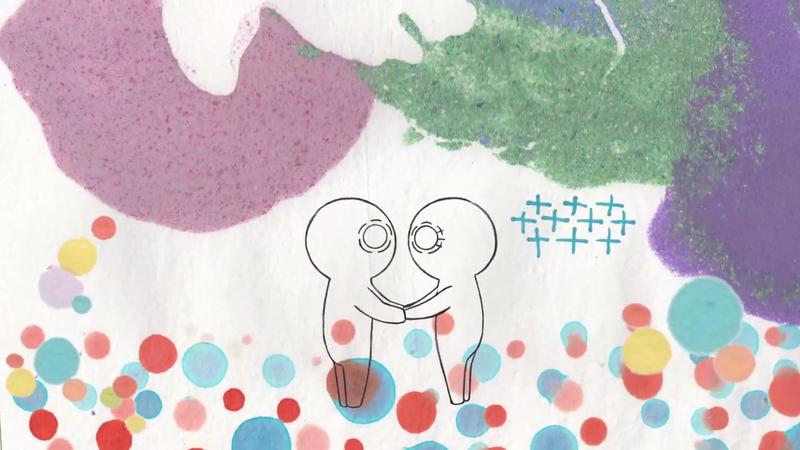 In this gorgeously-animated, experimental meditation on existential questions, the young filmmaker explores the significance of love in an unspecified future with his first film at the University of Pennsylvania. Putting an ironic spin on the term “lab rats”, a group of scientists create the artificial unit Arthur, which has the ability to feel emotions and is therefore known as an EI (as in “emotional intelligence”) – compared to the more common AI. When the only one other EI, represented as the female equivalent to Arthur, shows him what it’s like to have romantic feelings for another being and how to escape the mundane reality of everyday life, Arthur’s world changes forever. Aside from working with composer Nicholas Escobar and the congenial narration by Adam Parham, Kim created the film practically on his own. Using pencil and paper to animate the characters and their world and Adobe After Effects, Photoshop, Audition, and Premiere to edit, color, and composite everything together. Unfortunately we will have to wait some time to see what’s next for the filmmaker, seeing as he is currently serving in the South Korean military. In the meantime, these circumstances provided us with probably the most unusual submission of a launch guide yet, with the animator sending us the background information on his short via a hand-written letter which then had be typed into a computer and sent to us by a family members with access to the internet. But that might only be a small effort compared to the month-long work and passion he put into this gem about love, loss, and what it is to be alive.